In the United States and in many other countries around the world, digital games have become an integral part of children s lives. Discussions of research on youth and digital games often focus solely on negative effects (e.g., of violent video games), but this is far from the whole story. As natural problem–solving activities, digital games provide a rich context for applied cognition. 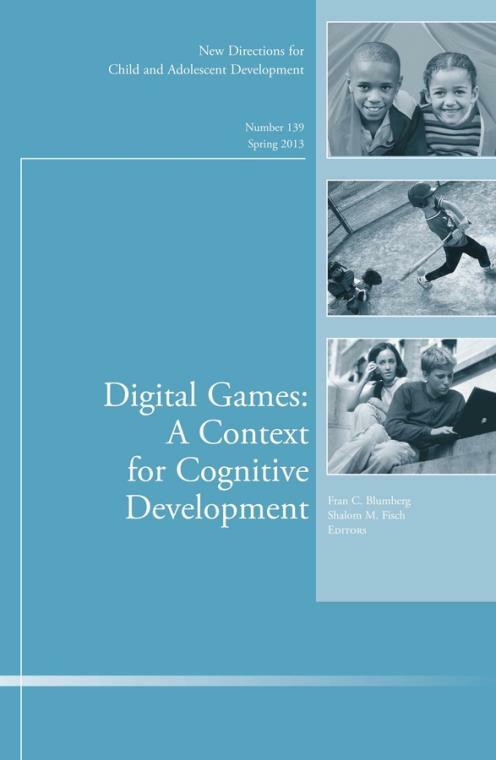 This volume explores topics such as the benefits of digital games for children and adolescents cognitive skills, the nature of their learning from educational media, the influence of developmental factors on their interactions with digital games, and the use of developmental research and established educational practice to create effective educational games that they will play. This introductory chapter outlines reasons why developmental psychologists should care about children s and adolescents learning in the context of digital games and previews each of the chapters composing the volume. The author presents a model for research and development of educational games based on uses and gratifications theory from communication science and on developmental science and cognitive science findings. The authors present an innovative and comprehensive model of engagement states experienced during learning and apply that model to research on educational game development. An overview is presented of key theoretical observations and research based insight regarding children s development, including discussion of practical implications for game design. This chapter reviews research concerning the cognitive benefits of video game play among children and adolescents and their impressions of video games as learning tools. The authors examine the positive contributions of digital game play to combating the current pediatric obesity crisis. This author surveys recent studies examining cross–platform learning (i.e., learning from combined use of several media platforms) and how such learning compares to learning from one medium. This chapter reviews benefi ts of digital game play research and development for improving educational attainment among the nation s youth, and identifies some directions for future research.